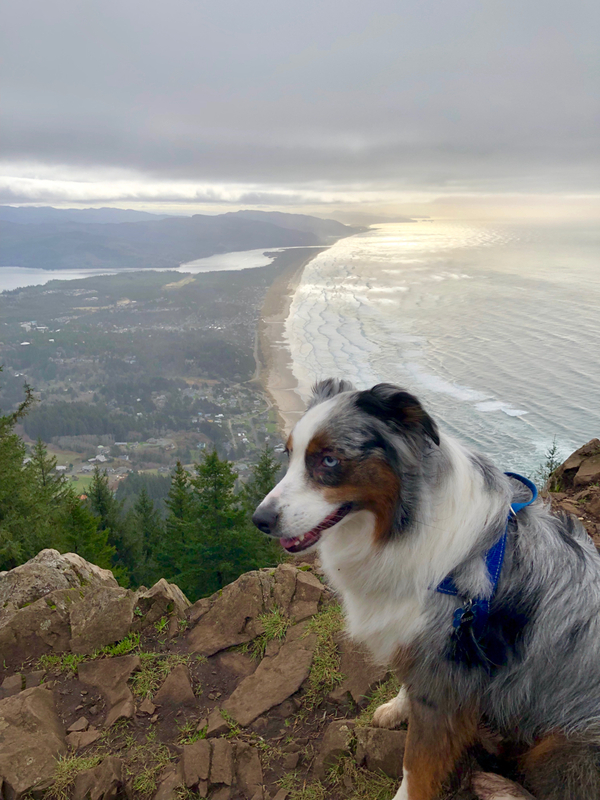 I have lived near the coast of Oregon for 14 years and have never visited the Neahkahnie Mountain which is a part of the Oswald West State Park. 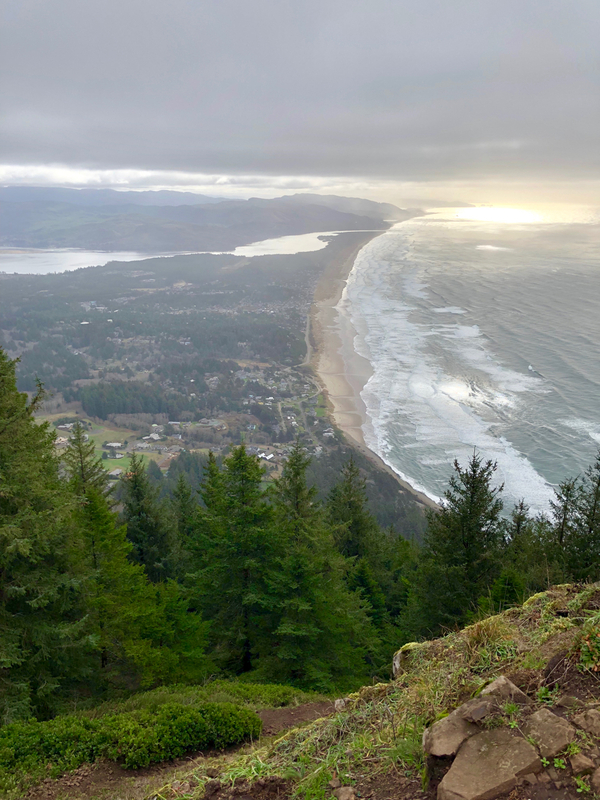 I took the hike from the North with the trailhead starting at a parking lot pullout on Highway 101 just North of Manzanita. The trail begins on the east side of the highway and is pretty much an uphill trail. 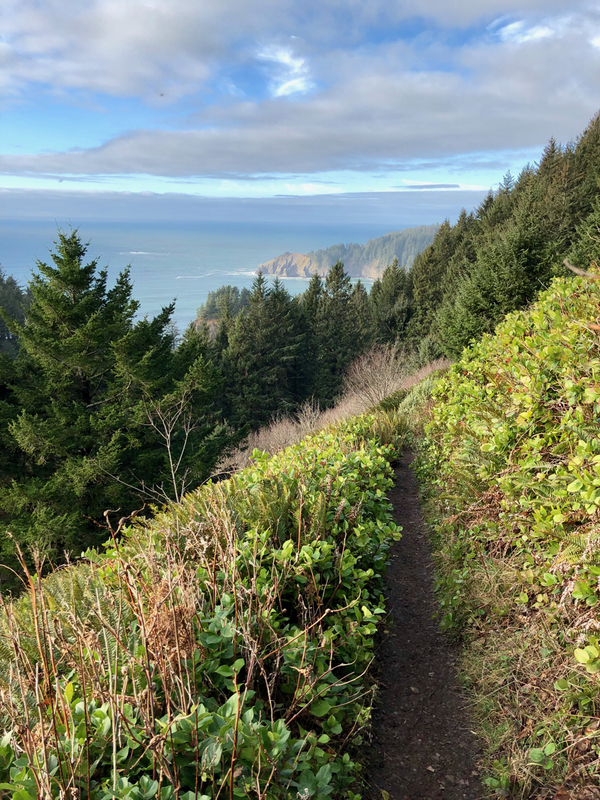 The first section of open meadow of switchbacks offers great views of the coastal cliffs at Cape Falcon. Overall the trail is of moderate difficulty, however, you are constantly navigating slippery roots. 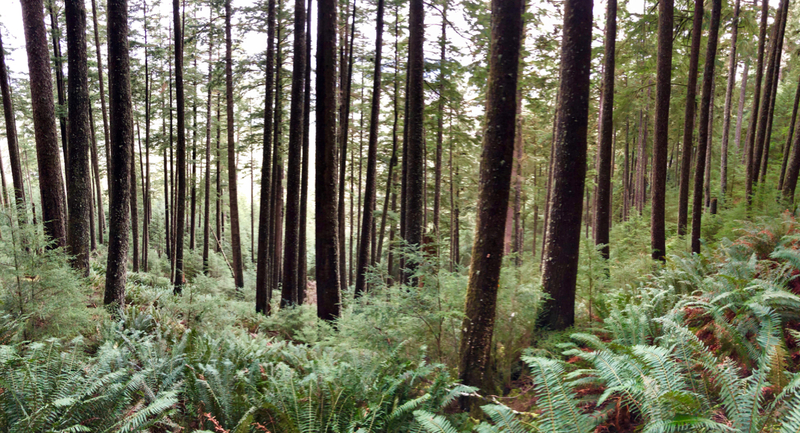 Once you leave the initial meadow you enter into the a beautiful coastal forest. You are now in a magical rainforest. 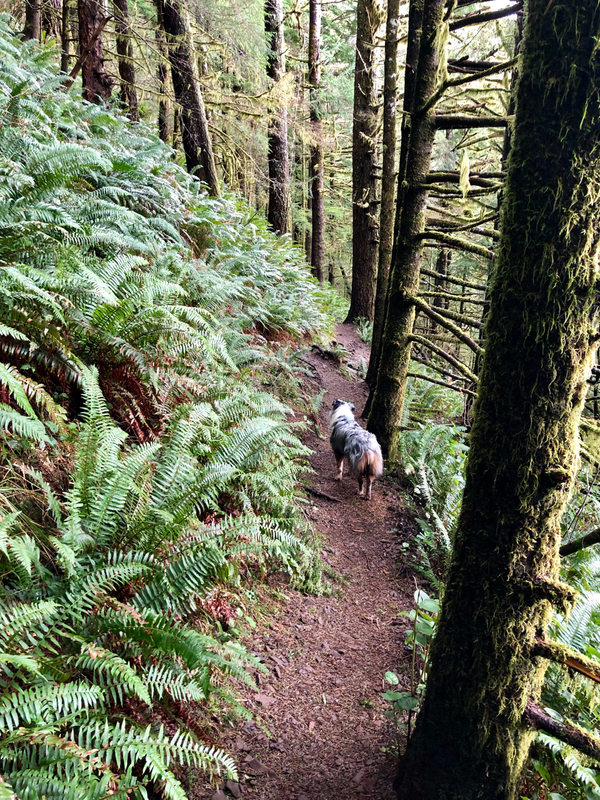 When you approach the Neahkahnie View area it can be confusing about which path actually leads to the top. The easiest route actually wraps around the back side where you still need to climb a fairly steep rock face. Once at the top the view South is fabulous. Both the south and north trails on Neahkahnie are badly eroded with a lot of exposed roots. The trail could use some TLC.